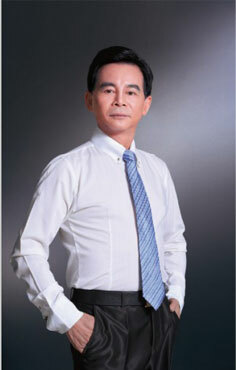 Li Xinghao the founder of CHIGO，is an excellent representative of Guangdong enterpriser owning a legendary experience and the wisdom of genius with unique personal charm and a full spirit. Li Xinghao, a Cantonese who has ever ran a restaurant and made some achievement in the fields of AC maintain and engineering allied with a Taiwanese to create CHIGO for more development. The channel has been regarded as the lifeblood of the air conditioning business. In 2002, CHIGO held a meeting for global supplier. People attended the meeting was up to 6 thousand. The horn of layout all over the country echoed in China. On 13th, July 2009, CHIGO listed on the board of Hong Kong Stock Exchange raising 1.6 hundred million and became an international listed company of “manufacturing localization, marketing globalization, internationalization of capital”. 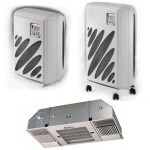 CHIGO stepped on the road of revolution and there were at least two incidents that shocked the AC industry. 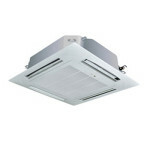 GUANGDONG　CHIGO　AIR　CONDITIONING CO.,LTD(Listed Member of Groups,Stock Code:449.HK)established in 1994, a modern professional AC manufacturer with a business line of designing, R&D,manufacturing as well as distributing both residential and commercial AC domestically and internationally. As one of the biggest AC manufactures in the world, CHIGO’s designed annual output are 10 million sets,which include complete series of AC products. 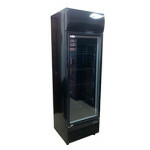 We are one of the most complete refrigeration industrial chain. All-in-one production strategy has capacities to meet different customers’ demands. CHIGO’s annual growth rate is being top all over the AC industry and CHIGO win various strict certificates in all important market. CHIGO has spread its network over 180 countries and regions worldwide. We have invested large amount of resources to establish advanced reliability labs. CHIGO imposes more stringent pursuit and controls over the quality of finished products. By the highly precise enthalpy difference lab, well-known B&K noise testing device, Switzerland SCHAFFNER EMC device, CHIGO ensure the quality of finished products with those scientificalness of every process. CHIGO is trying hard to be global customer’s favorite brand. Through continuous improvement of the product quality and standing with the global partners, we are committed to advocate the low-carbon lifestyle, improve the environment and the life of people. 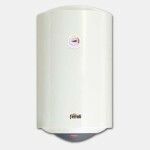 CHIGO Central Air Conditioning Overseas Marketing Company is a professional central air conditioning manufacturer and service provider and takes the lead in the field of R&D, production, sales, etc. in China. It establishes three major production bases in Nanhai, Wuhu and Jiujiang. Helangsha Industrial Park of the headquarters mainly comprises the production workshop of the main unit of air conditioning, the sheet metal workshop and the terminal production workshop, etc. and has the complete supporting facilities. Its annual production capacity is 600,000 sets. CHIGO delivers two major categories, i.e. 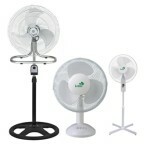 direct cooling type and cold water type, and over ten varieties of air conditioning products. 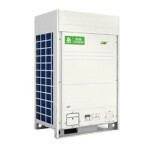 In the field of central air conditioning, there are direct cooling type air conditioning, such as CMV-[D] digital swirl type intelligent multi-connected unit, CMV-[V] DC frequency conversion intelligent multi-connected unit, CMV-[A] AC frequency conversion intelligent multi-connected unit, CMD intelligent multi-connected central air conditioning, built-in type ceiling air conditioning, water source heat pump unit, roof type air conditioning, the cold water type air conditioning, such as modular air cooling cold (hot) water unit, screw (swirl) type water chilling unit, ground source heat pump unit, as well as the special equipment like air source heat pump heater, fresh air heat exchanger, etc. 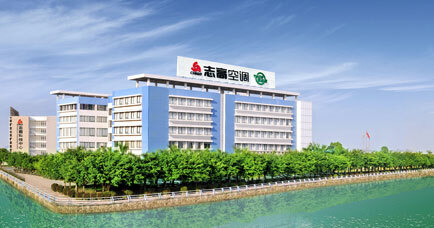 GUANGDONG CHIGO AIR CONDITIONING CO.,LTD (Member of CHIGO HOLDINGS, HK stock market listed corp., stock code: 00449. 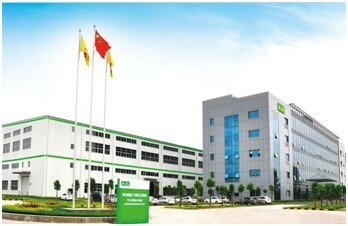 HK) was established in 1994, headquarter is located in Nanhai, Foshan— a highly developed industrial city. 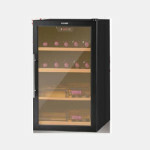 After 18 years development and growing, CHIGO has been a modern enterprise group that focus on the R&D, manufacturing and sales of residential air conditioning, central air conditioning, refrigerator, washing machine, wine cooler etc.. As an international enterprise, CHIGO have founded sales network in over 100 countries and regions. In China, CHIGO is one of those enterprises who have the biggest and most complete refrigeration industrial chain, the integrative manufacturing has brought CHIGO high satisfaction of multi market demand and high development speed. CHIGO GROUP is in Cooperation with big companies in the world such as Trane, York, Carrier, Mitsubishi, Sharp, Beko, Hyundai, MHI, McQuay, ACSON and KOMECO. Robotic system used in Chigo CAC manufacture line, can improve the production efficiency and guarantee the product quality. Our automatization will be moving towards a more intelligent and rapider development direction. The earthquake that took place in Wenchuan, Sichuan shocked the whole world, including all employees of Chigo. Chigo initiated “Heart and Love—Chigo Sichuan Disaster Relief and Emergency Rescue Action” immediately. More than 10,000 Chigo employees stood in the forefront of the fighting against earthquake and actively helped the earthquake-stricken overcome difficulty. On May 14, through Guangdong Charity Federation Chigo donated 3 million yuan to the earthquake-stricken areas in Sichuan; plus the personal donation of Chigo employees, the donation totaled up to 3.50 million yuan. “Chigo’s will is to make people have a better life. Disaster has no mercy, but human does. Although we cannot join in the frontline of disaster relief and emergency rescue, we have a grateful heart, we’ll try out best to help governments and people exclude the difficulty and anxiety and rebuild the homestead.” Said Li Xinghao, Chigo’s president. After the earthquake, Chigo contacted the employees whose native place was Sichuan as well as the management personnel and dealers immediately, inquired about the situation, condoled with them and rendered great support to them. Up to May 28, the cumulative total amount of donation by Chigo’s employees and partners was nearly 520,000 yuan. As a modern enterprise with strong sense of social responsibility, Chigo has actively devoted to the social public welfare undertaking and the local construction in the past years and has satisfactorily fulfilled an enterprise citizen’s social responsibility. “An unexpected calamity made my family trapped in a difficult situation. At the critical moment, it was Chigo, Chigo Labor Union and Chigo Mutual Fund gave us a hand, provided my family with the chance of a new life, made us catch a sight of new hope in the hot water and feel the warmth of the big family of Chigo”. This is a paragraph of the letter of thanks written by an employee of the Commercial Air Conditioning Business Department on September 8. The similar cases are common occurrence for Chigo. 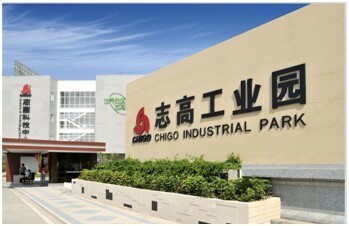 During the past years, Chigo has always had the enthusiasm for social public welfare undertaking and tried to create the good living and working environment for all employees. The establishment and benign operation of Chigo Mutual Fund plays an important role in helping the employees in difficulty out of trouble. In 2000, advocated by Chigo’s president Li Xinghao, Chigo established the Mutual Fund with the main mode of all members helping each other. In the past 8 years, Chigo gradually standardized the operation of the Fund, established the articles of association and the rules of procedure and perfected the regulations concerned with the organizational framework of the Fund, the member qualification system, the enrollment procedure, the member’s basic rights and obligations as well as the fund application method and the use and management of the Fund. By far, the annual average enrollment ratio of employees has maintained 90% and above, Chigo has rendered financial assistance to approximately 300 employees and families in difficulty, and the amount of financial aid has ranged from several hundred yuan to tens of thousands yuan. In addition, the Mutual Fund also directly takes part in the social public welfare activities; for example, help the orphans and disabled children, widows and widowers and the children from single-parent family. CHIGO CAC’s turnover increases rapidly year by year. In 2016, the annual turnover reached 1.5 billion RMB with a growth of 25% compared with 2015.